TopLine Strategies delivers the complete integration and development of sales, marketing and customer service technologies that enable companies to improve revenue streams and strengthen customer interactions. Their project management and consulting services are designed to achieve timely delivery, 100 percent user adoption of the technologies they implement and, most importantly, deliver measurable ROI to their clients. You can read more about the process in their white paper, CRM ADOPTION: An Organizational Change Management Framework. 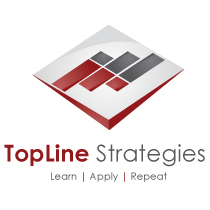 TopLine Strategies has successfully participated in over 3,500 implementations of highly complex projects. Their project managers and developers collectively have over 325 years of hands-on experience building, customizing and integrating technology. With a 100 percent implementation success rate, this allows clients to stay up and running, which could mean the difference between closing a deal with a new customer or losing it to the competition. In addition to their professional services offerings, they also provide a premier IT staff augmentation service to ensure companies have a quality, effective technical workforce. Just as they employ top technical talent internally to provide the best project delivery to their customers, they help clients find candidates that meet their quality standards and requirements. TopLine Strategies has a database of over 30,000 IT professionals, each of whom has been screened for a technical and cultural fit before clients even see them. If you are interested in speaking with a member of the TopLine Strategies team about technical project management or IT staffing needs, you can reach them at 480.503.8584 or via their website’s contact page.